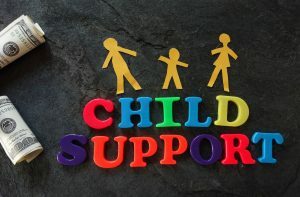 This post serves to recap my series on dealing with child support arrears in Las Vegas, Nevada. I felt it necessary to write on this topic due to the fact that many area residents are unsure of their rights when support has gone unpaid. The goal of my last several posts has been to provide information which will assist people in better understanding their situation and to make a more informed decision when selecting a family law attorney. If you have questions about your situation then contact my office today to speak with a lawyer. These are important topics for a parent to understand. First, Nevada law will require a parent to pay child support as if their income is what they are capable of earning. This means that if a parent is choosing not to work, or is intentionally earning less than what they are capable of, then the Court can order them to pay support at an amount commensurate with their possible wage. Second, the discovery process provides the tools necessary to gather proof of underemployment. Such proof may include pay records, tax returns, etc. Finally, when calculating child support arrears a Court will typically only consider a parent to be underemployed from the time that a Motion is filed. One point I have stressed throughout these articles is that it is important to hire an attorney to assist you with cases involving underemployment. This is a complicated area of law and a Court will not find someone to be underemployed simply because they are earning less than what they are capable of. It must be shown that a person is choosing to earn less than their potential and that they have no justifiable reason for doing so. As a Las Vegas family law lawyer I regularly deal with such situations. Contact my office today regarding a child support matter.